Indian car scenario is full of budget cars. Due to the heavy tax levy on imported vehicles, there are only a few iconic cars here that are otherwise aplenty in many foreign markets. However, the growing passion of the Indian automotive enthusiasts ensures that such models show up on the Indian roads from time to time. Here are five such exotic cars that can be spotted on the Indian roads. The Cadillac Escalade is the big bad American SUV that is mostly used by many influential people, including the President of the United States. Here is a spanking new Cadillac Escalade with an Indian temporary registration number. 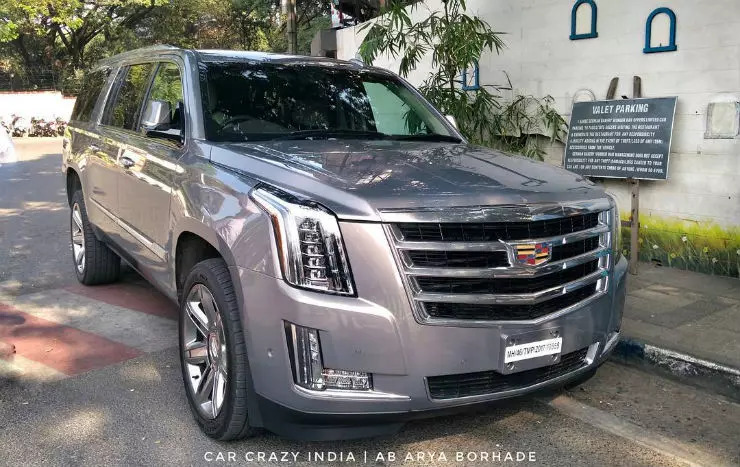 The Escalade is only made in the Left Hand Drive (LHD) format and to get it registered in India, one has to convert the steering-layout to comply with the Indian norms, which is Right-Hand Drive (RHD). The huge SUV can intimidate any other vehicle on the road and has a huge presence. It is powered by a 6.2-litre V8 engine that churns out a maximum power of 420 Bhp and a peak torque of 624 Nm. It gets an automatic transmission. The Dodge Charger is a well-established name in the world of muscle cars. 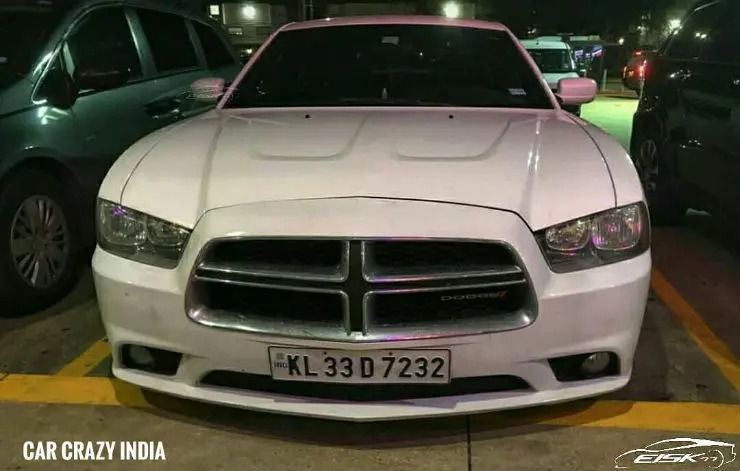 The true-blue American muscle car is quite popular in the domestic market and here is one seen in India. This is an older-generation Charger that gets the iconic, easily identifiable cross-grille at the front. The Kerala-registered car has done the LHD to RHD conversion to get it registered in India. The Charger from that generation had as many as five petrol engine options. We are not sure which engine powers this one. The entry-level engine powering the Charger is a 3.6-litre V6 engine that generates a maximum of 296 Bhp and the most powerful engine is a 5.7-litre V8 engine that generates a maximum of 375 Bhp. The star of the movie Transformers, the Chevrolet Camaro, goes head-to-head against the Ford Mustang. Even though Chevy showcased the vehicle at Auto Expo, the brand has now left the Indian market and there’s no hope that the car will be officially available in the Indian market in the foreseeable future. 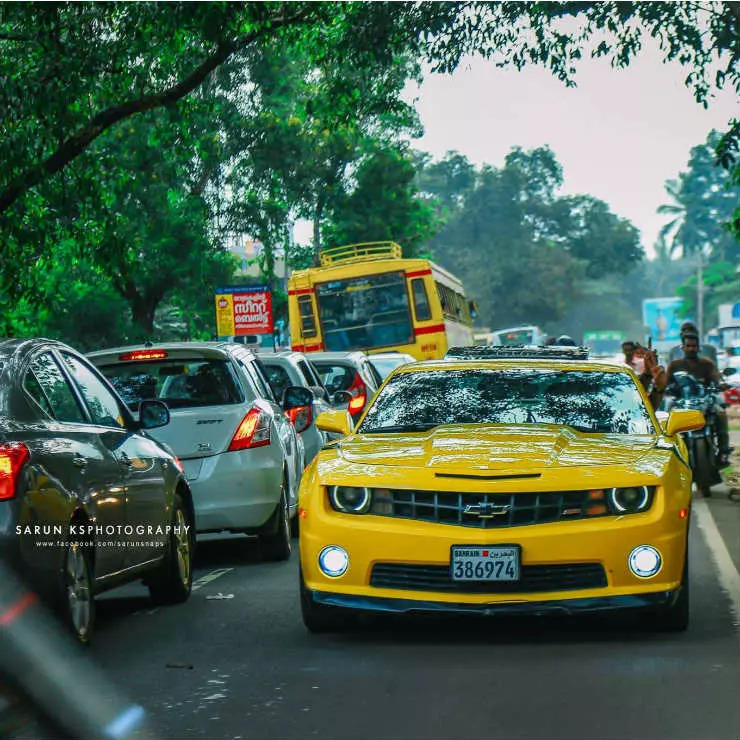 Here is a bright yellow coloured Camaro that is in India through Carnet. The ZL1 Camaro seen here is powered by a massive 6.2-litre supercharged V8 engine that generates 580 Bhp. It also gets a Transformer logo on the side that reminds everyone of the Camaro-Hollywood connection. The Chrysler 300 is one luxurious vehicle. 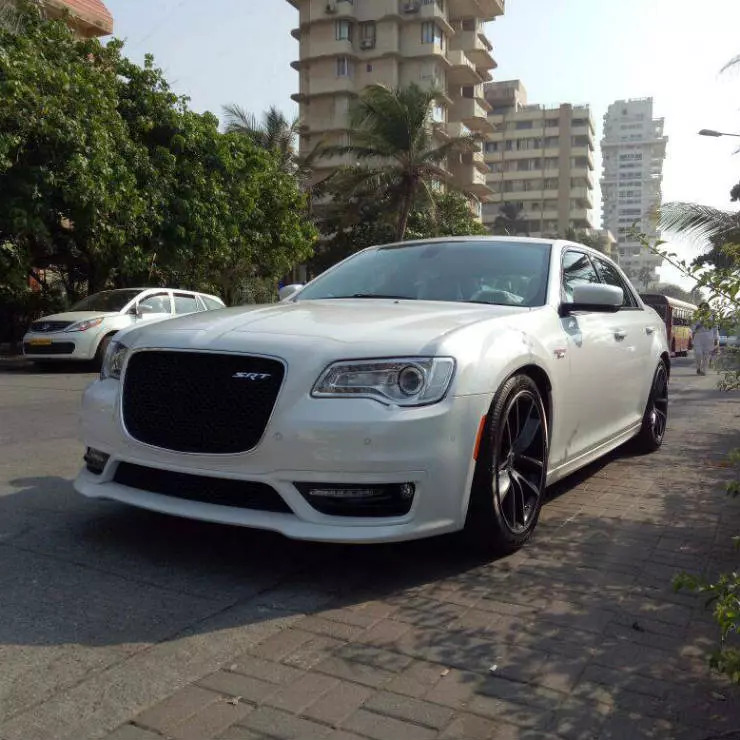 The Street and Racing Technology (SRT) performance engineering team took the Chrysler 300 and transformed it into a super powerful machine. The car is only available for sale in Australia at the moment. The car shown here is up for sale and is priced at Rs. 1.45 crores. The American roads are filled with pick-up trucks. Here is the GMC Sierra that can tower over any other regular vehicle on the roads. The Sierra was seen in India recently and gets a temporary registration number that again means that the vehicle’s steering layout has been mirrored. The car has a number of engine options, ranging from a 4.3-litre V6 to a 5.3-litre V8, producing 286 Bhp to 335 Bhp.